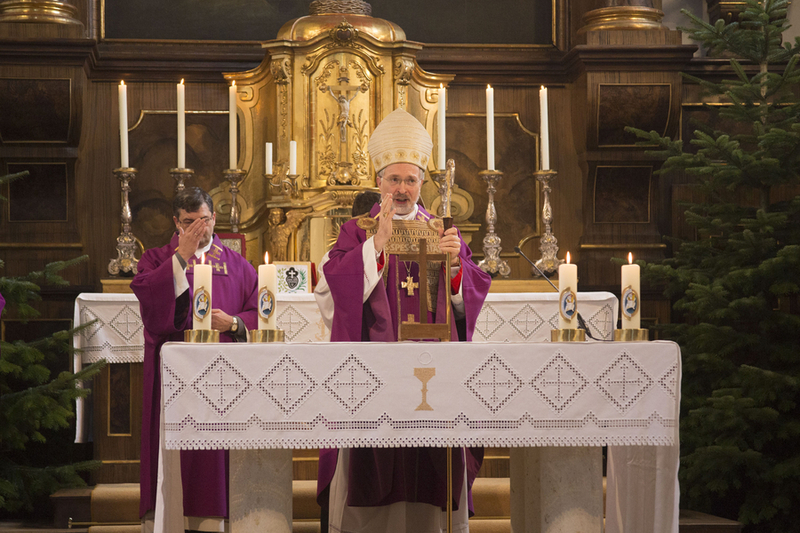 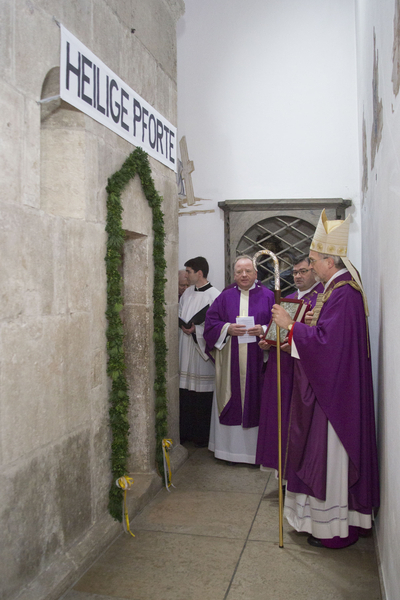 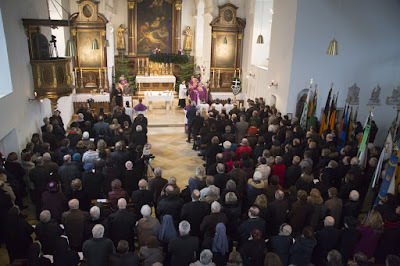 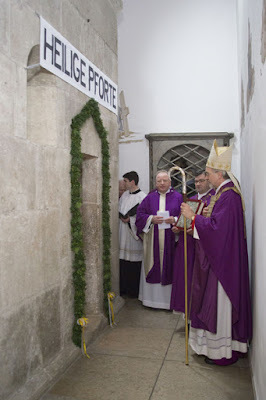 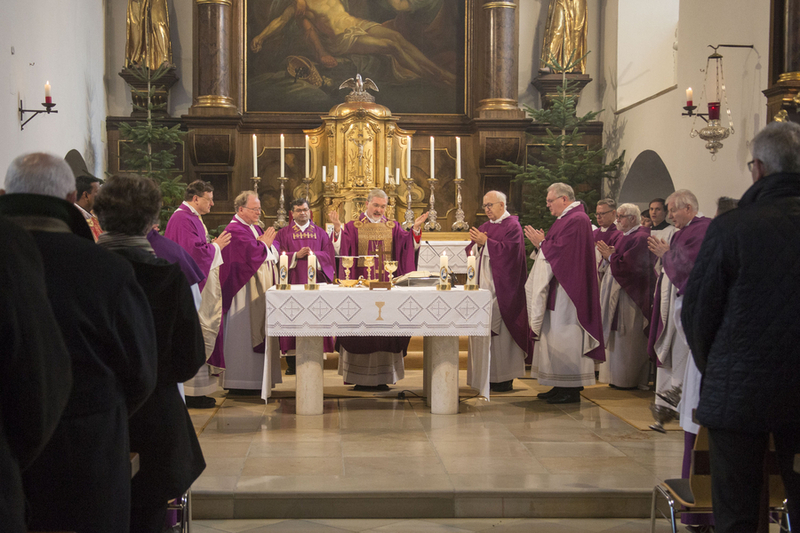 The website of the Passionist Fathers of southern Germany and Austria has recently posted some photographs of the opening of the Holy Door in the Diocese of Eichstätt, Germany, which are reproduced here by their very kind permission. 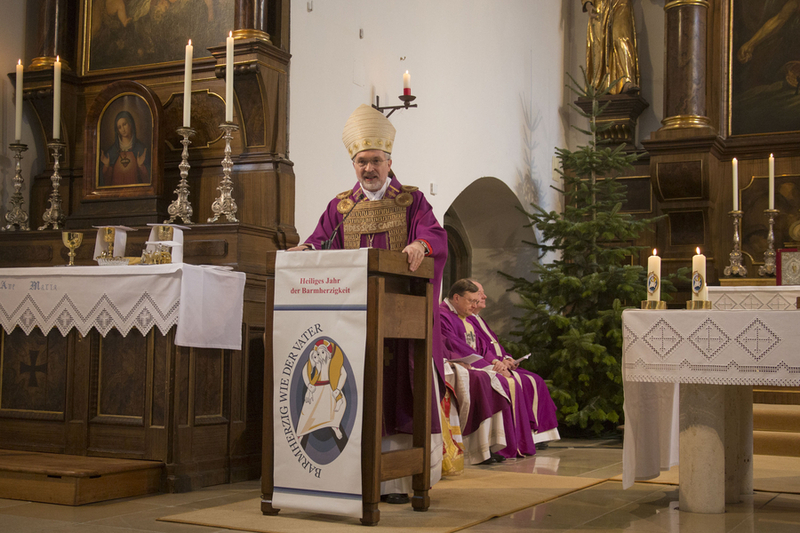 In them, the local bishop, H.E. Gregor Maria Hanke, is shown wearing that rarest of liturgical garments, the rationale. This is described by the old Catholic Encyclopedia as a counterpart to the pallium, a humeral collar, ornamented in the front and back with appendages, worn over the chasuble. 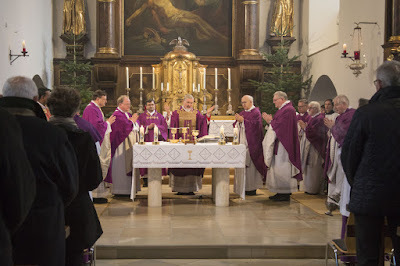 Formerly used by the bishops of several different Sees, especially in Germany, it is now restricted to Eichstätt, Paderborn, and Toul in France, as well as Krakow, where the form of it quite different from the one we see. 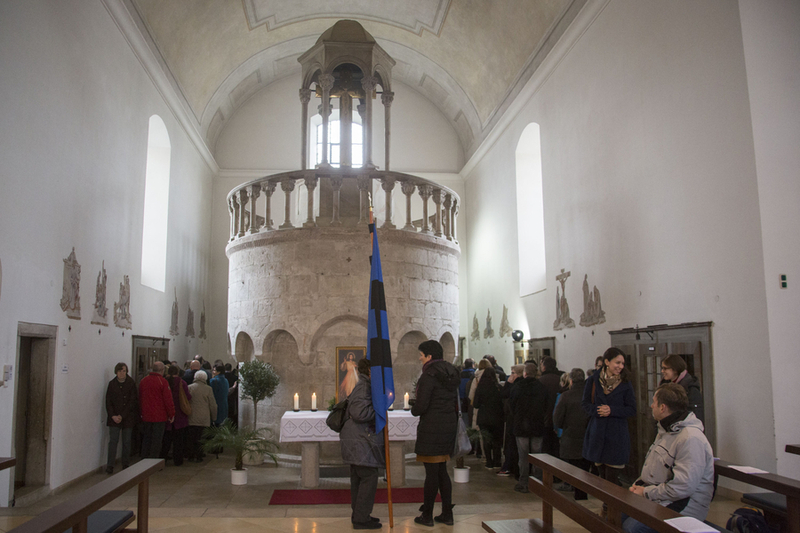 The Passionists’ church of the Holy Cross, part of which was built in the mid-12th century as a reproduction of the Holy Sepulcher, was selected by Bishop Hanke, rather than his own cathedral, as the location of the Holy Door for the Extraordinary Jubilee.